Advertising surrounds us. It’s impossible to escape. So instead of trying, why not stop and smell the art instead? 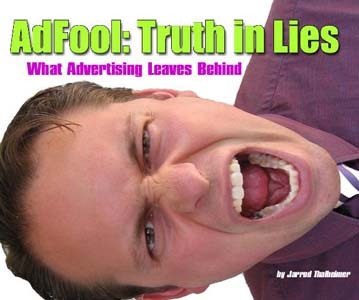 AdFool: Truth in Lies reaches out and grabs current advertising and holds it up for a real look – finding out there may be far more lurking “in store” than we actually see. A fun, fast-paced read designed to make you think, and smile, about the big bad world of commerce and what it really has to say. Buy it now at Blurb or contact me for a personalized, signed copy.